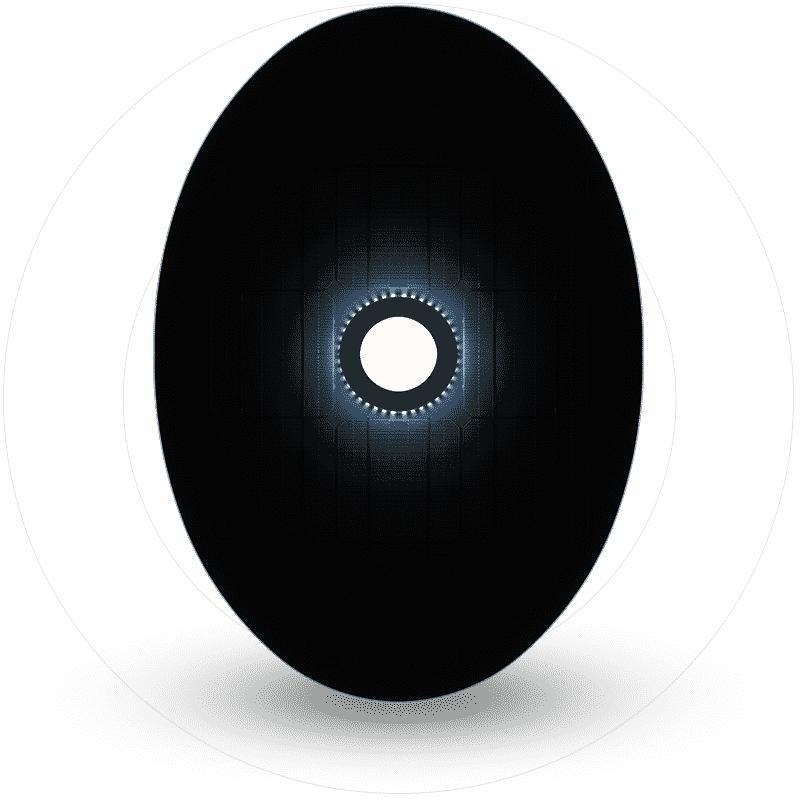 Aesthetic all black oval shaped solar module, using glass / backsheet technology, with autonomous power source was just a part of a solution we provided. Alongside to custom shaped solar module we carefully picked and combined all components needed and electrical part as well. 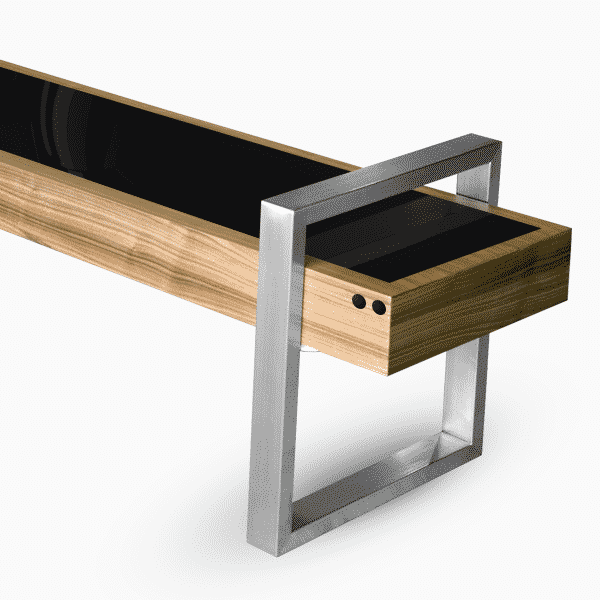 We suggested diode to be laminated to the module, for it enables optimal module operation, while being partially covered. 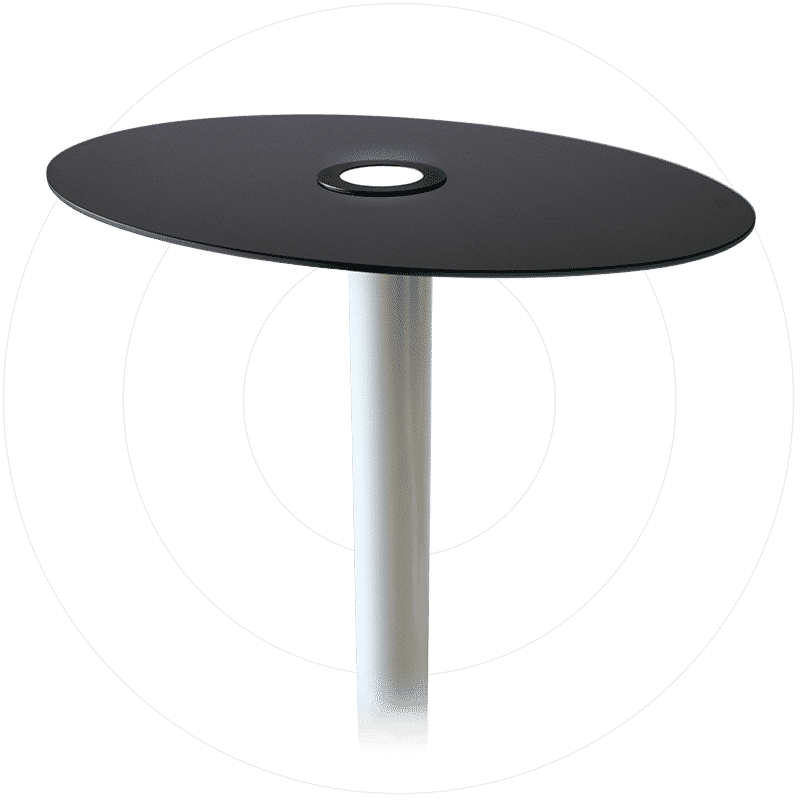 Together with USB extension for charging devices, this solar table is seamlessly integrated with LED lighting option in the center and in perimeter of a table. 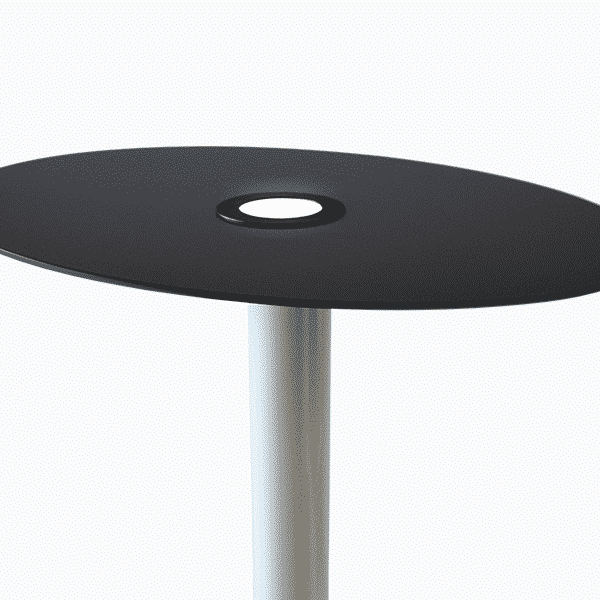 The table comes in different sizes for use in beach bar or outdoor cafes. Further smart control system is due to be developed. 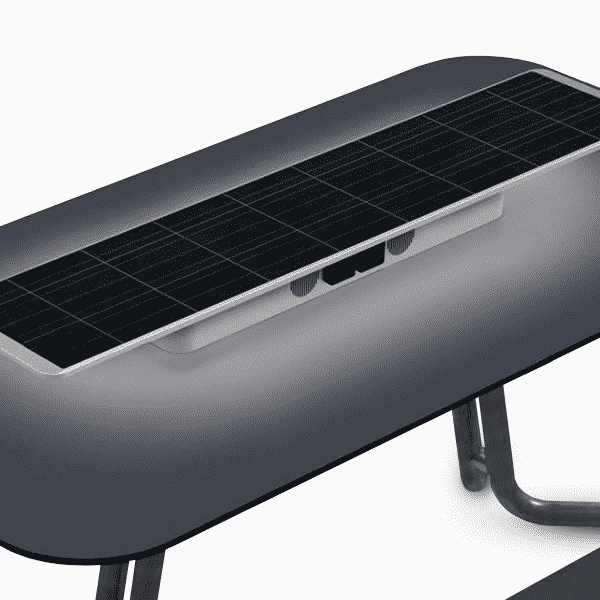 Carefully picked combination of materials used in solar panel were tested for its durability and performance characteristics. All parts of solar solution were tested to maintain technical characteristics during long exposure to humid and rainy weather conditions. All-black with hidden contacts solar modules were used for this solution to seamlessly integrate with modern device design.